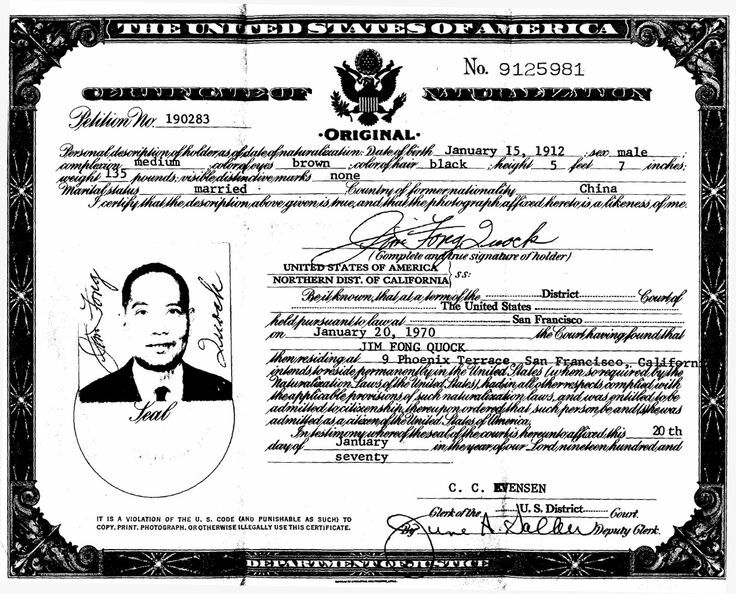 The naturalization papers of a Chinese American immigrant. Whether it is Donald Trump’s verbal caricature of overseas Chinese businessmen, or Jeb Bush’s proclamation that when it comes to “anchor babies” the issue is “more related to Asian[s]”, or Carly Fiorina’s lamentations over the “industry” of Chinese women having babies in the United States, one thing has become clear: the Right-wing of American politics is now firmly entrenched in a platform of anti-immigrant nativism filtered through the lens of sinophobia. Much of that xenophobic rhetoric comes in the form of railing against undocumented immigrants, whom Trump characterized in his campaign announcement speech as “criminals”, “rapists” and “murderers”.